Number1 is a song by female rapper and singer Eve-B featuring Rilwan popularly known as butterboy Rilwan .Number 1 is a beautiful love song where both artists exhibited their talents..incase you don’t know Eve she released her first official single Dance a while back and it received a lot of acceptance..So its safe to say. 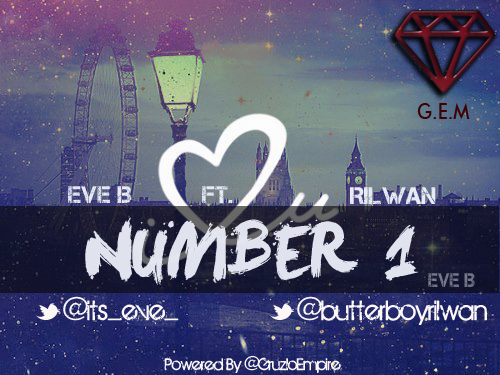 Number 1 is a hit…Eve-B is a beautiful ,intelligent and very talented young woman,the 200 level undergraduate of petroleum and gas engineering in the university of lagos has done a fine job at mixing school with music…I assure that you’ll be impressed by this song. Enjoy!